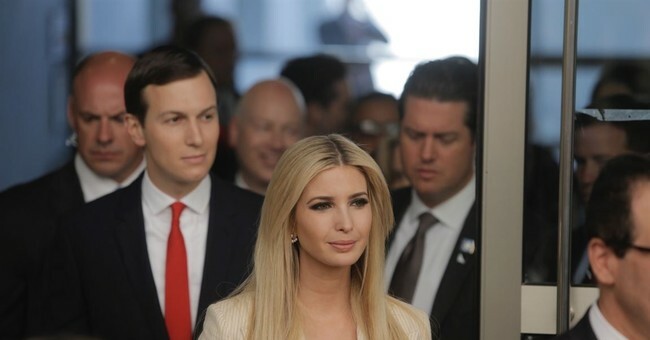 Ivanka Trump, President Trump’s daughter and assistant to the president, spoke with Axios Thursday about her feelings on family separations at the border. She also broke with her father’s criticism of the media, saying she didn’t feel they were the enemy of the people although she did understand concerns. Asked to describe her “low point” in the White House, Ivanka admitted that the administration’s zero tolerance policy that resulted in family separations at the border was one low point for her. She went on to make a distinction between legal and illegal immigration and discussed how it affected her own mother, Ivana Trump. She also cautioned against oversimplifying immigration issues. "I am the daughter of an immigrant, my mother grew up in communist Czech Republic, but we are a country of laws,” she said. “She came to this country legally and we have to be very careful about incentivizing behavior that puts children at risk of being trafficked, at risk of entering this country with coyotes or making an incredibly dangerous journey alone. These are not easy issues, these are incredibly difficult issues and like the rest of the country, I experienced them actually in a very emotional way." “No,” she replied, appearing to be taken aback by the question. "I’ve received my fair share of reporting on me personally that I know not to be fully accurate,” she elaborated, “so I’ve had some sensitivity around why people have concerns and gripe, especially when they sort of feel targeted, but no, I do not feel that the media is the enemy of the people."